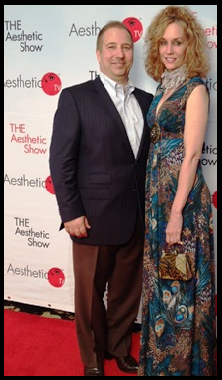 Dr Gallo currently sits on the clinical advisory council for ThermiAesthetics™, the makers of ThermiSmooth. He is very excited to have been chosen to add this amazing NEW technology to his practice and is the only physician in the state offering this treatment. So far all of our patients that have tried ThermiSmooth treatments have noticed results ! What is a ThermiSmooth treatment like? After the skin is cleansed, a special gel is applied to the area, and the ThermiSmooth wand is placed on the skin. The patients feel a mild warming sensation – not hot or painful – as the energy is applied. Most patients find the procedure quite relaxing. Treatments take about 20-30 minutes, depending on the area being treated, and are typically repeated every 2 weeks. No anesthesia or sedation is required. There is no downtime, no pain, no bruising and no significant swelling. or purchase a package of 4 and get your 5th treatment free.